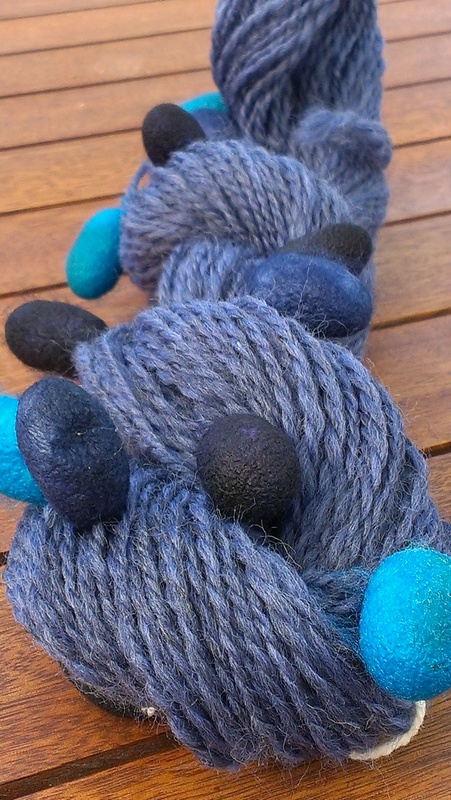 What to do with silk cocoons 3: Spin them onto a yarn! I feel a tea cosy coming on! Big thanks to the friend who gifted these cocoons: you know who you are! This is really what I had planned all along to do with my home grown cocoons, but they turned out to be rather thin. I guess I am raising silkworms of uncertain parentage, not silkworms that have been bred for their fine silk or silkworms that have had optimum treatment! Their cocoons are certainly not as strong or as thick-walled as the cocoons in this picture. So… perhaps they are not suitable to this use. There have turned out to be many others! I have always wanted to try that!! It looks beautiful..nicely done! Thanks! It is such a fun technique, I highly recommend giving it a try. that bobbley yarn just makes me smile. And if past tea cozies are any indication, the new one will be just as adorable. 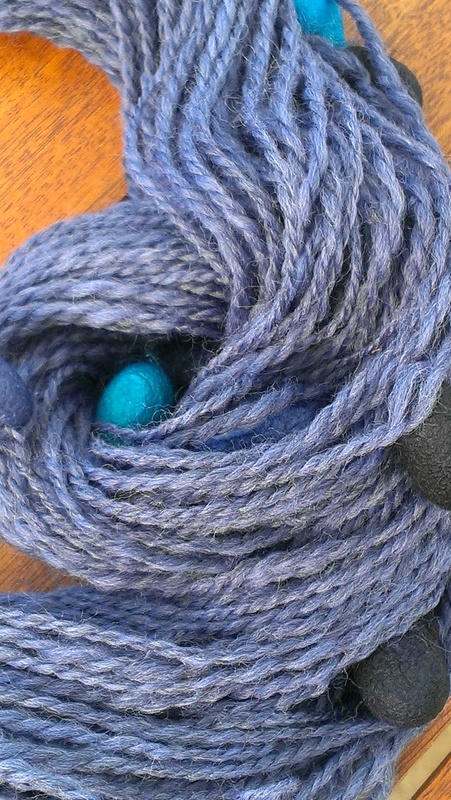 That yarn is surely asking to be a cosy! I got mine at a school fete. Until September–there won’t be any to be had. But asking school children and kindergarteners and their parents seems to be the way to go.